Handmade Tibetan OM Mantra Bracelet Tibetan Silver Bracelet. 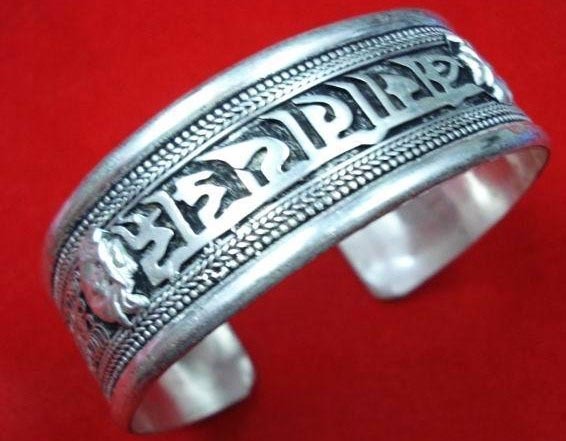 This bracelet was handmade in Tibet from tibetan silver. Width:25mm. Weight: 35g.